There are two main types of irrigation systems: low flow and high flow. Both can be utilized in one garden if needed. Low flow systems refer to micro spray, drip emitters, or drip lines. High flow systems are fixed spray, rotor, impact, bubbler, and soaker hose. Drip irrigation is preferable for most parts of the garden except lawns. 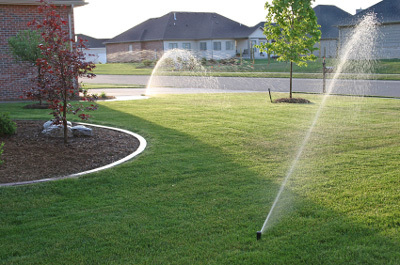 Where appropriate, sprinklers can be used for lawns or low-growing groundcovers. Keep in mind, the irrigation system must be designed to prevent runoff, low head drainage, overspray, or other similar conditions where irrigation flows onto non-targeted areas, such as adjacent property, non-irrigated areas, hardscapes, roadways, or structures. Explain with neat sketches the different types of compasses? With a neat sketch explain the various components of a flood hydrograph Also explain anyone method of base flow separation? Explain various types of surface irrigation method?